There’s a lot to consider when you’re shopping for an SUV. Interior space, performance, and safety are all factors that drivers in the Long Beach, Cerritos, and Newport Beach areas have to take into consideration. 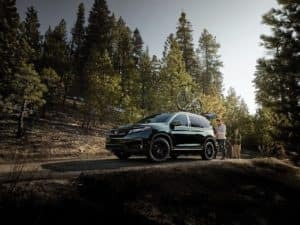 In this comparison, our team at Norm Reeves Honda Superstore Huntington Beach takes a look at the Honda Pilot vs. Toyota Highlander to see how these two new models measure up. When it comes to interior space, both of these SUVs have a lot to offer. 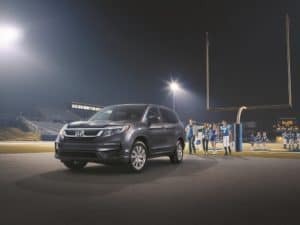 The 2019 Honda Pilot and the Toyota Highlander have standard seating for up to eight passengers, which is great for large or growing families. However, when it comes to how much room those passengers have, the Honda holds a sizeable advantage. With 152.9 cubic feet of passenger volume, the Honda Pilot offers profoundly more wiggle room compared to the 61.7 cubic feet of passenger volume in the Highlander. On top of that, the Pilot offers more cargo room behind every row than the Highlander. Specifically, you’ll find 83.9 cubic feet behind the first row, 46.8 cubic feet behind the second, and 16.5 cubic feet behind the third row in the Pilot compared to 83.7 cubic feet behind the first row, 42.3 cubic feet behind the second, and 13.8 cubic feet behind the third row in the Highlander. One key aspect of performance that stands out when placing these two SUVs side by side has to do with each one’s overall size. We’ll first take a look at the Pilot in this regard. Its wheelbase is 111 inches, its length comes to 194.5 inches, and it is 69.8 inches high and 78.6 inches wide. Over in the Highlander, you’ll find a wheelbase of 109.8 inches, a length that comes to 192.5 inches, a height of 68.1 inches, and a 75.8-inch width. What these numbers tell us is that the 2019 Honda Pilot is slightly larger than the 2019 Toyota Highlander. This is significant in terms of performance because the more robust stature of the Pilot increases its stability when maneuvering around curves. 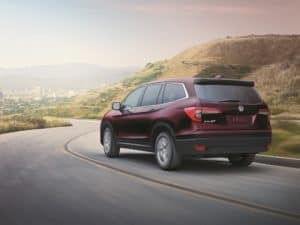 Additionally, the Pilot comes standard with a 6-speed transmission and is available with nine speeds to give you an even more proficient and comfortable ride. The Toyota Highlander only offers a standard 6-speed automatic transmission. One of the most important factors to focus on with the Honda Pilot vs. Toyota Highlander is their respective performances. The Honda Pilot comes with a 3.5-liter V6 engine that’s capable of producing 280 horsepower and 262 lb-ft of torque. The Toyota Highlander, on the other hand, can’t compete with its 2.7-liter 4-cylinder engine, which only delivers 185 horsepower and 184 lb-ft of torque. 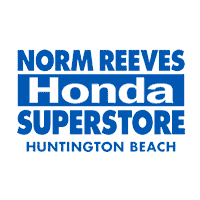 If you would like to schedule a test drive of the 2019 Honda Pilot, contact us today at Norm Reeves Honda Superstore in Huntington Beach, proudly serving drivers from across the Long Beach, Cerritos, and Newport Beach areas.